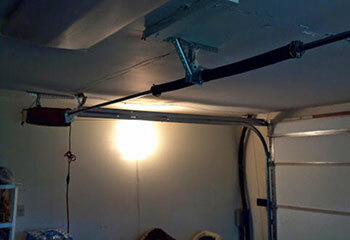 There could be many different reasons why your garage door starts acting up. Whatever they are, our highly skilled technicians will be there to help you. Take a look at our latest projects to see some examples of our work. 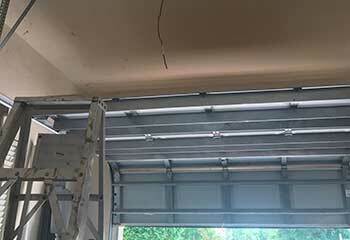 Customer Issue: The customer’s new home came with a garage, but the overhead door was missing some vital components. 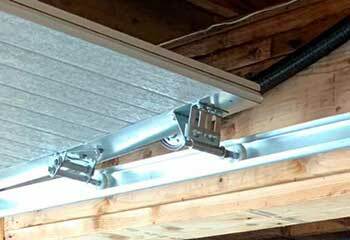 Our Solution: The door was set up for a wall mounted opener unit, so our team installed a ListMaster 8500 once the customer approved our suggestion. Setup was easy, thanks to the wall mounted unit’s design, and the post-installation functionality tests went well. Our Solution: We examined the door while it was in motion, and quickly found the source of the problem to be (as we suspected) the rollers. They were too old to function properly anymore, so we replaced all of them with new ones and showed the customer how to lubricate them properly in order to extend their working life. Customer Issue: Worn and weak springs. Our Solution: Upon testing the door's balance we found that the springs were incredibly weak and were close to becoming slack. We removed them and fitted new units of the same diameter in their place. Then, we adjusted their tension so that the door's opening and closing action would be smooth, fast and completely balanced. Customer Issue: Door keeps reversing when the customer tries to close it. 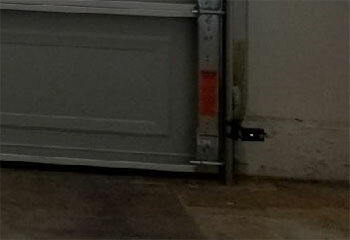 Our Solution: The problem was that the opener's safety sensors had become misaligned, which was creating a situation where every time the customer tried closing the door, the photo eyes would detect a 'false-positive', meaning they mistakenly alerted the opener that there was an obstacle in the door's path. Our technician repositioned both sensors and then cleaned their lenses to ensure the problem would be completely eliminated.